There were two important reports on the economy released this morning. 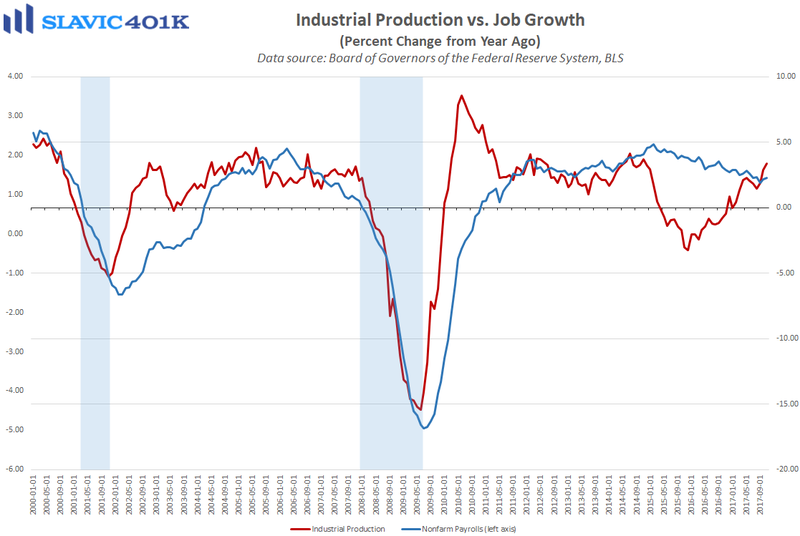 First, data from the Federal Reserve Board of Governors showed that total industrial production in America rose last month by 0.2 percent. That was slightly worse than anticipated, but the prior month’s gain was revised higher. Much of the strength in November was due to a solid uptick in the business equipment and construction categories, something that bodes well for fourth-quarter U.S. gross domestic product (GDP) growth. 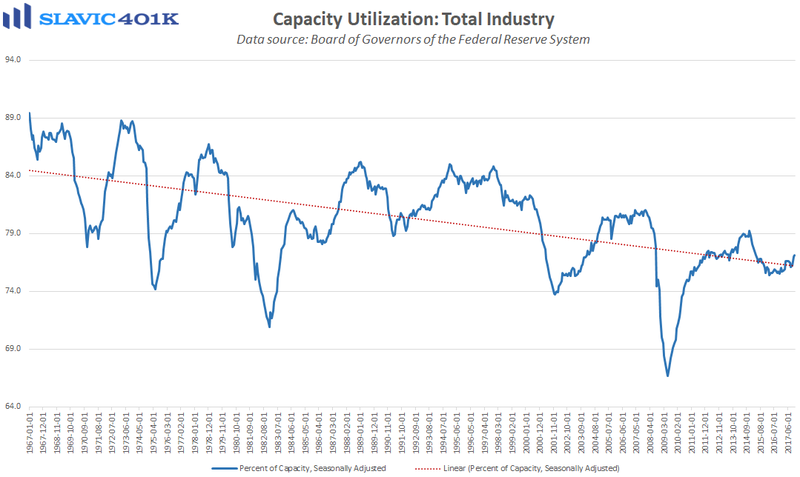 As for manufacturing, which makes up roughly 75 percent of all industrial production, this component also lifted by 0.2 percent last month, while capacity utilization, sometimes used as a leading indicator of inflation and potential output, increased to 77.1 percent, the highest reading since 2015. 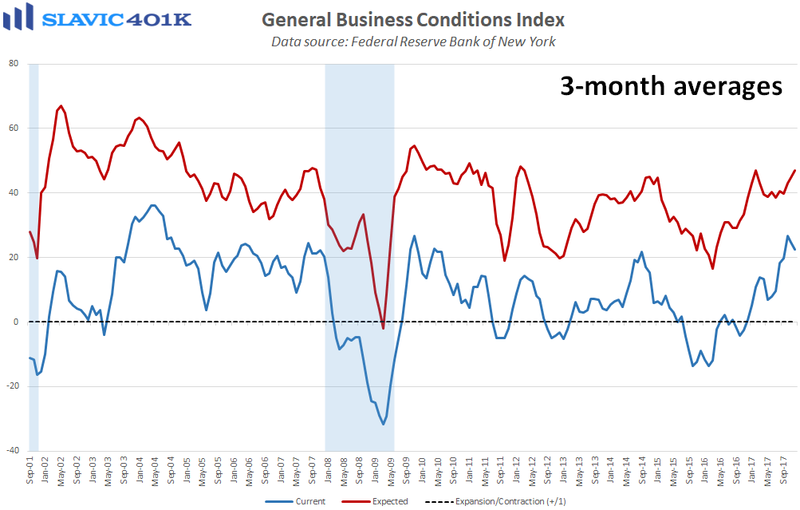 Elsewhere, a report from the Federal Reserve Bank of New York (FRBNY) showed that manufacturing activity in the northeast region of the country cooled in December, as the business conditions index fell from 19.4 to 18.0. That was the second monthly decline in a row and the lowest headline reading since July. Under the hood, shipments improved in December, but measures of new orders, inventories, margin strain, and employment all deteriorated. 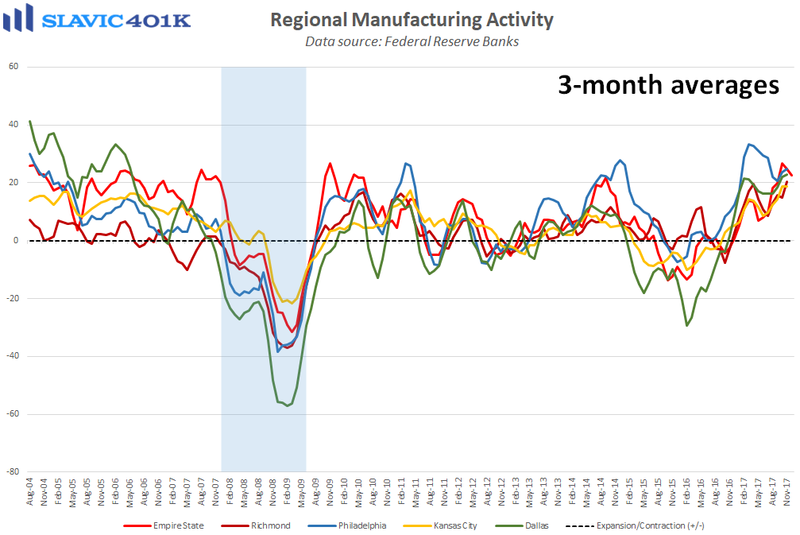 Forward-looking (six months ahead) activity gauges also generally softened in December, but a greater number of surveyed manufacturers this month reported plans to boost their capital expenditures and technology spending. That increase in business investment will be supportive of U.S. GDP growth in 2018.